Whilst window shopping for baby stuff, J.G. and I realised everything is so sophisticated. I think we're going to need help. . . In the first installment of Saturdays, I shared our house rules. Many of it can fit in this category of 'less is more'. Even when it comes to having a baby. Certainly, there are essentials. Perhaps a dressing table, a cot and a stroller. But who determines what is essential? There are new born 'must-have' lists on the internet that go up to 200 items. I'll probably feel overwhelmed with 50. Thankfully I have good friends who help me decide what's really crucial. A close friend who mine lives in a beautiful landed property in a quiet estate, they could well afford the luxuries of life and yet their children sleep on mattresses on the floor. They also do without air-conditioning. She would have it no other way. And why not? Others might criticise her and question her methods, but she and her two siblings also grew up in that kind of simplicity. We are fortunate that we can afford a lot more, but simplicity is a choice. Children grow up realising they are not the center of the universe and that every comfort ought to be something we treat with gratitude. Find me a whiny bratty five year-old from a third world country and I'll stand corrected. Toy shopping is insane, the things in the malls don't look like toys. Most of them look like replicas of technology we use for work - a mini laptop, plastic iphone or these sophisticated reading pens. Forget about toys actually, stuff a smart phone onto a child's lap to keep him still while feeding him. He can navigate his table but he can't hold his own spoon? Toy manufacturers tell consumers, their toys promote brain development and enhance a child's creativity. I say being toy-free generates more creativity. Empty bottles become instant bath buddies while containers transform themselves into drum sets. Old school parenting style? Maybe. But I'm sure humblet will still end up receiving hoards of toys, I can only hope that we'll have the heart to ration these with her. I'm a little apprehensive about saying these before the parenting journey begins. And yet, I'm also hoping that by putting it out there, I'll have the strength to stand by my beliefs when the time comes. 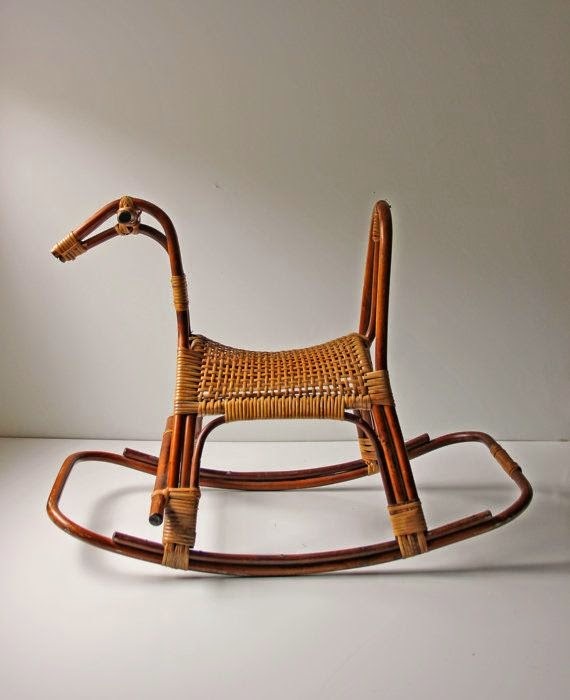 Last thing I wanted to know is. . .does anyone know where I can buy the old school type of rattan furniture?